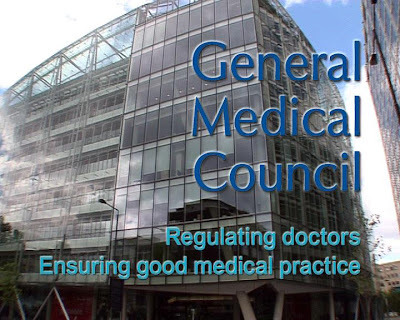 The Christian Medical Fellowship is deeply concerned that the PBMP guidance in its current form is flawed and will be used as a basis for vexatious complaints against Christian doctors who express their Christian beliefs, respond to patients’ spiritual needs or wish to be excused from certain procedures on grounds of Christian conscience. The following answers outline the main points CMF will be making in our organisational response. If you do make use of these points then please feel free to put them into your own words. There is further analysis here. a.Cultural, legal and ethical changes have impacted on Christian doctors particularly in the areas of expressing their personal beliefs and values, providing spiritual care and in facing pressure to participate in procedures or practices which they regard as unethical. b.The key finding of the recent parliamentary enquiry, ‘Clearing the Ground’ (February 2012) was that ‘Christians in the UK face problems in living out their faith and these problems have been mostly caused and exacerbated by social, cultural and legal changes over the past decade’. c.There has also been a significant shift in ethical views within the medical profession. In particular the principle of ‘the sanctity of all human life’, which is fundamental to the Judeo-Christian ethic and historic ethical codes like the Hippocratic Oath, the Declaration of Geneva (1948) and the International Code of Medical Ethics (1949), no longer has wide support. 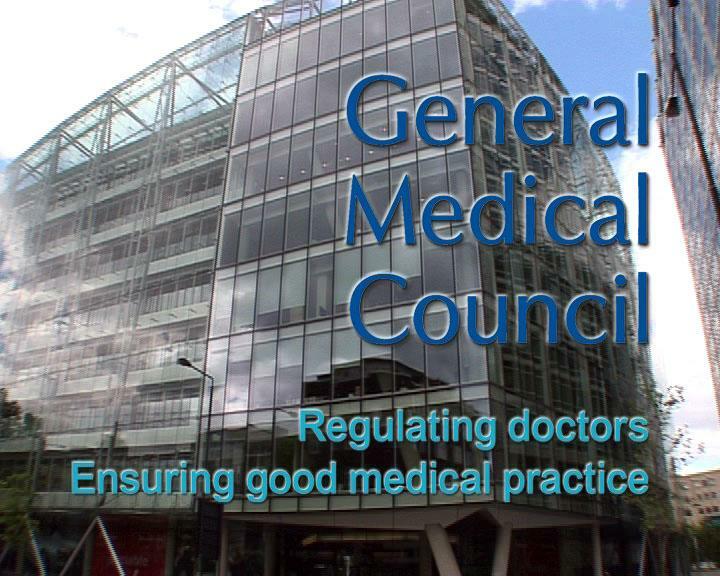 d.Guidance in this area is therefore necessary to clarify the specific rights and duties of doctors in this new cultural and legal environment. a.We support doctors being able to withdraw from providing or arranging treatments or procedures on grounds of conscience, whether or not this is covered by legislation. The doctor’s duty should end with the obligation to inform a patient that he/she has a right to see another doctor. However the guidance in its present form does not fully allow this and we recommend that it be amended so that it clearly does so. b.The guidance states (para 3) ‘we don’t wish to prevent doctors from practising in line with their beliefs and values, as long as they also follow the guidance in Good Medical Practice’ but also makes it explicit (p4) that in situations of conflict ‘we expect doctors to be prepared to set aside their personal beliefs’.This means in essence that when there is any conflict, 'Good Medical Practice' trumps the doctor’s conscience. c.The guidance also says that doctors who ‘have a conscientious objection to a treatment or procedure’ (p7) ‘must make sure that arrangements are made – without delay – for another suitably qualified colleague (‘who does not hold the same objection’ – p8c) to advise, treat or refer the patient’ (p9) in circumstances where ‘it’s not practical for a patient to arrange to see another doctor’ (p9) Many doctors would see this as being forced to participate in treatments or procedures that they believe are clinically inappropriate, not in a patient’s best interests or unethical. a.The guidance is not clear on gender reassignment and appears not accurately to reflect the requirements of the law. We recommend that the confusing footnote to p5 on gender reassignment be removed. b.In the footnote to paragraph 5 it states that doctors have no right to ‘opt out of providing’ ‘gender reassignment’ but it does not clearly define what ‘providing gender reassignment’ actually entails. Does it include just gender reassignment surgery and/or hormone treatment or does it also entail being part of the referral pathway? c.The treatment of gender identity disorder (alternatively gender dysphoria) is extremely controversial and many doctors do not believe that surgery or hormone treatment is clinically appropriate or ethical in many (or even any) cases. To force such doctors to ‘provide’ such ‘treatment’ with no option to opt out is inappropriate. d.The argument that provision of ‘gender reassignment’ is required is we believe a misapplication of the Equality Act 2010. The natural reading of the law is that doctors should not refuse to treat patients who have already undergone gender reassignment for conditions that they would treat other patients for (eg. Infections, heart disease). e.It does not mean that doctors are required to provide ‘gender reassignment’ to those diagnosed with gender identity disorder. This interpretation would place doctors under an obligation to provide treatments that they regarded as unethical to the other eight groups protected under the Equality Act 2010 also and would undermine their professional status by making them servants of the state. It could also be open to legal challenge. a.There is strong support for a right to conscientious objection in international law and historic ethical declarations. This should be made clear alongside the reference to article 9 of the ECHR in the footnote on page 2.
c.The International Code of Medical Ethics of the World Medical Association (WMA) (1949) says that ‘a doctor must always maintain the highest standards of professional conduct’ and that it is unethical to ‘collaborate in any form of medical service in which the doctor does not have professional independence’. a.The guidance is ambiguous and unclear on a number of crucial points. c.We suggest that the guidance be amended to make it clear that patients may indicate they would welcome such a discussion in the course of giving a spiritual or religious history in response to sensitive questioning. Doctors should not have to rely solely on unlikely nonverbal clues (such as carrying a Bible or Quran!) to obtain this information. d.Endnote 5 is insufficiently clear in its main text and footnote about doctors’ obligations with respect to abortion. The Abortion Act 1967 protects the right to refuse to participate in termination of pregnancy and the GMC made it clear in a letter to CMF in 2008 that this included the right to refuse to participate in preoperative preparation (eg, pre op assessment and clerking), signing authorisation forms and the duty to refer to other doctors who would carry out the task. This should be made explicit in the guidance. e.In addition it should be made clear that doctors have a right to refuse to participate in routine postoperative care of abortion patients as this is part of the abortion procedure but not to refuse to provide treatment for postoperative complications in an emergency. f.P3 is currently ambiguous and should make it clear that ‘personal beliefs and cultural practices are central to the lives of all (rather than many) doctors and patients’ so as to make it clear that both religious and non-religious patients have personal beliefs and cultural practices. a.The guidance attempts to deal with two quite different areas – providing care which addresses the needs of the whole person and conscientious objection – and this results in some overlap and confusion. These two areas should either be separated out clearly in the guidance or placed in two separate guidance documents. b.Endnote 2 requires that doctors have an absolute duty to provide contraception to unmarried women. This should make clear that there are situations (eg. Suspected sexual abuse and coercion, Gillick incompetence) where this would be quite inappropriate. We also believe that the grounds given (that this is required under the Equality Act 2010) are open to legal challenge as ‘unmarried women’ are not a protected group under the Act. c.It should be clearly stated that reasonable accommodation should be made for doctors who have a conscientious objection to providing certain forms of treatment. The comment on 2c seems to restate the guidance without commenting on it? Thanks. The comment relating to this was in 2d but I have coalesced them now to avoid confusion. This many be of interest, as an alternative approach. Before reading this article, I had drafted a response to the consultation, since discarded, that answered "No" to this question. I had said "No", because I had said that the ECHR protected freedom of thought, and the rights to express and to practise personal beliefs, and that any "guidance" could only serve to dilute these convention rights. Yes I know some have taken this view and I think that it is a valid approach. I was working on the assumption that there would be guidance regardless and that therefore it was important to make it as sound as possible.